Deep water- Long Point Plantation - Private covered dock w/floating dock. COMPLETELY REMODELED New roof, new hardwood floors, brand new stunning chef's kitchen w/upgraded stainless appliances, gas range double sinks, under counter refrigerator-expanded buffet with built in desk area. Bar with plenty of seating and breakfast room--open to sun room. Hard coat stucco. Split bedroom plan. Open floor plan with built in bookcases in great room. Waterfront views from great room, dining, sun room, kitchen and master bedroom. 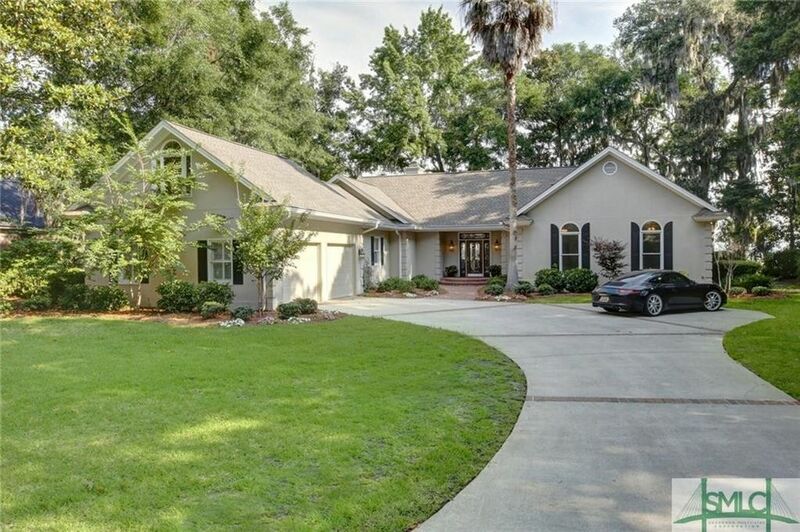 Bonus room/4th BR & walk-in attic access.Double + Golf cart garage -has room for everything. Long Point offers gated security, pool, tennis, and new gathering gazebo and community deep water dock on Gray's Creek. Islands offer K-12 neighborhood schools and YMCA within 5 minutes. Downtown and Tybee Island just 15 minutes away. Community restaurants and shopping within Come home to Whitemarsh Island - Islands most popular family gated neighborhood! Directions: HWY 80 E TO JOHNNY MERCER, STRAIGHT ON LYMAN HALL TO GRAYS CREEK, PROPERTY ON RIGHT.